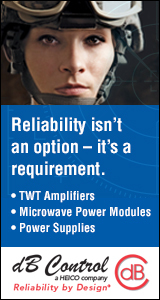 EW warfighting requirements continue to evolve in their complexity and capability to meet air, ground, surface, space and cyberspace requirements. The 8th Annual Electronic Warfare Capability Gaps and Enabling Technologies Operational & Technical Information Exchange will provide a forum for EW professionals from the military, government, industry and academic fields to discuss issues related to the requirements of EW programs, platforms and operations. This capstone event will focus on the identified gaps and technologies the services require to ensure EW maintains freedom of maneuver through the Electromagnetic Spectrum (EMS) in support of achieving commanders’ objectives. Speakers and presenters will look back at the previous few years and identify progress made to ensure the success of the warfighter in tomorrow’s battlespace. This call for papers challenges presenters to explore innovative and leap-ahead enabling technologies and methodologies to meet currently identified EW Capability Gaps. Presentations or demonstrations from all United States Services, DoD, industry and academia are requested to identify technical paths, options and potential opportunities for filling current and future EW Capability Gaps. Submitted abstracts are specifically requested to address one or more of the symposium sessions. Amplifying information on the three sessions is referenced above. Abstracts for presentations are required in unclassified textual format. Please forward abstracts to speaker coordinators, Mr. Clint Seyer and Mr. Jimmy Hearn, at clint.seyer@navy.mil and jimmy.r.hearn@navy.mil respectively, and to Ms. Shelley Frost at frost@crows.org. 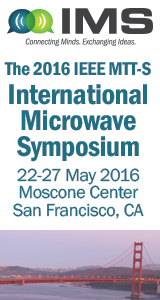 The submission deadline is 10 March 2016. We request abstracts be limited to one page of text or 400 words. To facilitate the selection process, please ensure your submitted abstract file is labeled with your last name, session number and short title. For example: "Seyer_Session1_Cognitive_EW.doc." Notification of acceptance and presentation submission instructions will be provided by 18 March 2016. Presentations must be in Microsoft PowerPoint 2007 or earlier format. (note: dates are proposed for initial planning purposes only and are subject to change. The observed manner by which consumers easily access and share information using Commercial Off the Shelf (COTS) technologies is influencing how planners envision the conduct of 21st Century military operations. However, the environment that each operates within are drastically different resulting, false assumptions. Though the concept of System of Systems (SoS) approaches are well reasoned and existing technology should support their implementation, comparing the tactical environment with the commercial reveals a whole host of unique challenges. Factors such as environmental conditions, dynamic network configuration and server access along with the unique characteristics of each participating node impacts the ability to command and control the internal and external movement of information throughout the battle space. Even though each SoS and its associated operating environment is unique, Networks in the Tactical Environment will identify, describe and help the participant better understand how these factors impact the 21st Century Warfighter using analysis and recent examples. As EW warfighting requirements continue to evolve in their complexity and interdependency, it is clear that future EW systems must work collaboratively with other air, ground, surface space and cyberspace systems. The 45th Annual Point Mugu Electronic Warfare Symposium will facilitate the exchange of enabling concepts and provide a venue to disseminate current research in the fields of Collaborative Electronic Warfare. Prominent leaders, contributors and representatives from the United States and Australian military, government, academia and industry will come together to address current electronic warfare gaps and emerging technologies in collaborative electronic warfare required to address these gaps. "Transforming EW – Evolving Threats, Concepts and Capabilities"
As nations re-focus on contingency operations after over a decade of counter-insurgency, there are many challenges and opportunities for governments, the military, academia, science and technology and industry. Recent events have reminded everyone of the deadly nature of RF guided weaponry and that the threat from insurgents has not ended, but intensified. The widely reported use of wholesale, sophisticated Russian counter-C3 systems in and around Ukraine in parallel to cyber operations and widespread dis-information/psychological operations has given rise to what leading military and political thinkers refer to as Hybrid Warfare. The question is what does this mean for the future of EW in the free world? Almost all military operations are enabled by wide-ranging electromagnetic (EM) operations, a concept that NATO and others have fully embraced. These include SIGINT; C4ISR; precise navigation and timing; targeting; communications, spectrum management and the whole gamut of EW. But, are there new requirements for EW arising from hybrid warfare? The answer to the question then, is yes, a great deal, with an obvious example being EM-enabled cyber operations. National forces are being re-shaped and re-equipped to face the future, which will be contested, congested, complex, connected, constrained and potentially chaotic unless the right informed choices are made now. AOC EW Rotterdam 2016 will consider the future of EW and EM Operations in the changing light of current and emerging threats, including Hybrid Warfare; it will consider the possible responses, how thinking and attitudes must change and examine the new capabilities that will be required across all lines of defence, by all services, in all countries. Part of the event will include twin-tracks focusing respectively on operations, capability and defence lines of development and industry developments and inventiveness. AOC EW Europe 2016 will once again bring together, this time in Rotterdam, perhaps the most happening and connected city in Europe right now, all the communities involved in EW, SIGINT, C4ISR, Cyber EM Activities (CEMA) and more. This is the largest global EW networking, exhibition, seminar and conference outside of the U.S., and it is not to be missed! Honor those who have furthered the discipline of Electronic Warfare (EW), Information Operations (IO), Electromagnetic Spectrum Operations (EMSO) and the AOC! 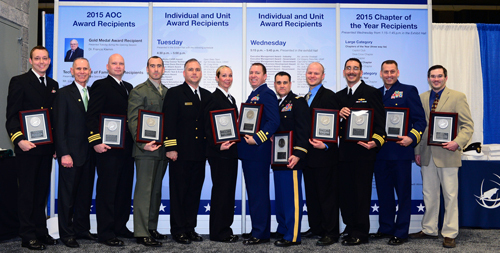 Recognize their dedication by nominating them or the unit for an AOC 2016 Individual or Unit Award! In the early 1970s, electronically scanned antennas (ESAs) emerged as a new and impactful technology for ISR missions. Replacing mechanically scanned antennas (MSAs), ESAs were much faster for beam switching from a mission timeline perspective, and eliminated the size weight and power associated with a gimbal. 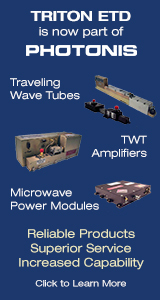 As ESAs became better understood, passive EW modes were added as part of their capability offering. This highlights the revolutionary impact of ESAs on the warfighter battlespace. This talk will show the genesis from MSA to passive ESA to active ESA and provide a conceptual understanding of the advantages of an active ESA. Additionally, the talk will show how the next ESA transformation that is currently taking place is from analog active ESAs to digital active ESAs. 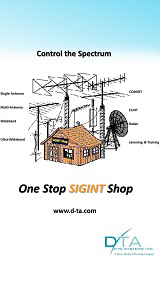 Electronic warfare and cyberspace technical capabilities are becoming more technically similar. However, the communities that practice these disciplines remain largely separated and vary widely across the Military Services in terms of their equipment, unit organization and operating methodologies. This conference provides the EW and cyberspace communities an opportunity to collaborate and discuss capabilities, TTPs and research in EW and cyberspace operations to enable more rapid deployment of new and improved capabilities. The EW/Cyberspace Convergence Conference identifies ways to develop advanced technologies and systems to address the changing battlefield dynamics of the digital age and bring EW and cyberspace together for the Warfighter! Today, more than 300.000 Radio-Controlled Micro Unmanned Aerial Vehicles (commonly referred to as "drones") are sold worldwide every month. It was expected that around 0.5 to 1 million micro-drones were to be sold for Christmas last year in the U.S. alone. The increasing amount of affordable civilian drones capable of carrying payloads of some 100g up to a few kg leads to an emerging threat ranging from simple disturbances (privacies), spying or even incur severe destruction (terror attacks). These might include disturbing public events, important summits, endangering air traffic (drone sighting near airport), threatening governmental facilities, sensitive sites and industrial facilities (i.e. high-tech industries) as well as illegal smuggling contraband into correctional facilities and cross border. The day has come where drones are "hovering over the sky." Facing with the challenges and difficulties of intercepting radio controlled drones especially to capture their operators, many authorities have been striving to achieve a solution in drone monitoring and countermeasures. A technical approach for countering the threats posed by such micro-drones is in tremendous demand, in order to achieve an idealized solution in "protecting the sky" against the drones. This webinar will review a strategic approach for the development of a solution for signal monitoring of radio-controlled microdrones and the possible countermeasures. The Senate Aerospace Caucus invites you for a coffee and morning download on wireless spectrum, featuring perspectives from DoD, FAA, NASA, NTIA and A&D industry reps. Please join us for an informal conversation on spectrum policy, and why it's an important issue for Congress. Sponsored by Aerospace Industries Association and the Association of Old Crows. The EW/Avionics Division, AFLCMC/WNY and the Dixie Crow Chapter of the Association of Old Crows (AOC) will co-sponsor the AF Technical Program, 2016 Dixie Crow Symposium 41, on 22-24 March 2016. The program will be at the Scott Theater (Building 1500), Museum of Aviation, Robins AFB, GA. An AF conference approval request has been submitted by the EW/Avionics Division. INDUSTRY NEWS: Will Russian Aggression Ramp Up US Army Focus on Electronic Warfare Needs?